Michael Smale is one of those rare estate agents who listens to you, as a client, rather than simply talking at you. 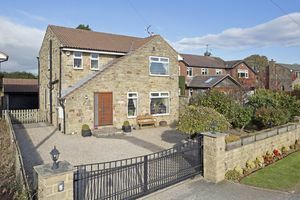 Moving swiftly and effectively, he sold our five-bedroomed, detached Ilkley house for the asking price in a little over a fortnight, having produced superb images and marketing material - far outclassing the competition. Michael then advised us on an exciting new build opportunity that we took up, after some careful consideration - as we wanted to be very hands on in the design of the innovative build. He handled everything intelligently, courteously and did exactly what he said he would do during all the transactions, keeping up a sense of what I'd call 'comfortable pressure' on all parties concerned. 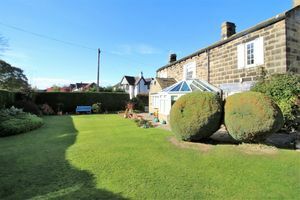 We're delighted with his professionalism and help, and are very happy in our superb new property in Addingham. Michael Smale comes highly recommended! Fantastic service: they phoned us every time they heard anything, we didn't have to chase them up. They also valued our house very well: 3 other agents valued it up to £75,000 less! - and we sold for only £3,500 off the asking price. Grit, determination and a willingness to pester and cajole every lax estate agent and solicitor in their way! Walker Smale are a truly great estate agency, a pleasure to work with and for us they made the difference between staying and moving to the house of our dreams. The agents were lovely and helpful at every point even during a very frustrating buying process whereby the apartment had to be legally registered. The agents did all they could to stay in constant contact with me. Very good service - using same agent to market a second property I have up for sale. Excellent service from my estate agents. They could not have done more to help me during the stressful time of moving. Nothing was too little for them to advise me. I was very pleased with their professionism. Excellent service by my estate agents. Walker Smale. They looked after my sale with great hep from them, all the way. Very professional. I would recommend them & have done to people I know.